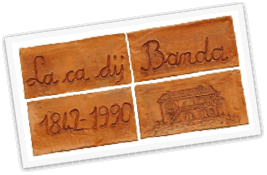 The old country house "Cà di Banda" was built in 1842 in the quietness of the green River Park surrounding the ancient town of Cuneo: the town lies at the confluence of the two rivers Gesso and Stura, encircled by the suggestive skyline of the Southern Alps. 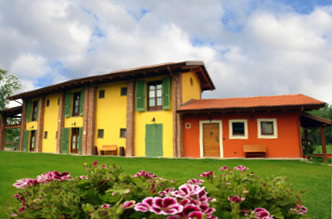 The house, built and run since its origins by the Parola family, now offers accommodation for people who wish to feel on holiday even on a working situation. Three lovely bedrooms, one with facilities for disabled people, all comfortably fitted out with antique furniture, a common kitchenette / living room / library, open to the sun from dawn to twilight: here hours flow easily, measured by the precise sundials of Mastro Bernardo, while the night… But the night is not made to check the time. Cuneo Lido sporting area, with its swimming-pools, tennis courts, a football ground, a skating track and the newest one, a track for summer cross-country-skiing, is only two kilometres away. With half an hour's drive you'll be able to reach the starting points of trekking paths and excursions in the alpine valleys all around the town: Pesio, Vermenagna, Gesso, Stura, Grana, Maira, Varaita and Po.